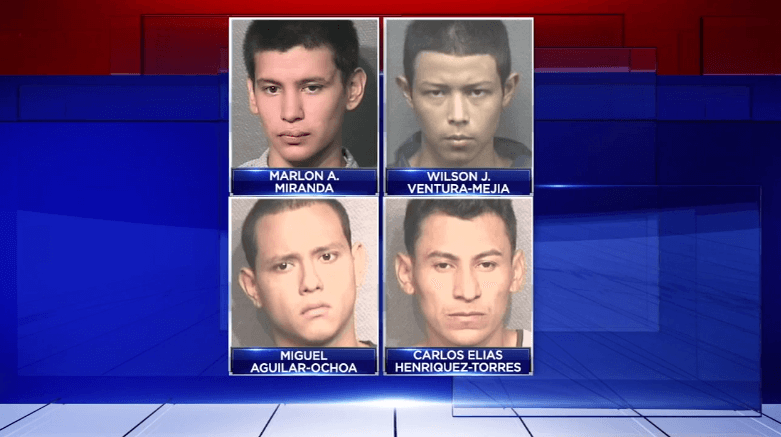 HOUSTON, Texas (KTRK) — Four MS-13 gang members are in jail, charged with murdering a man who was cooperating with police, and investigators say their arrests are part of a bigger operation targeting the ruthless gang. 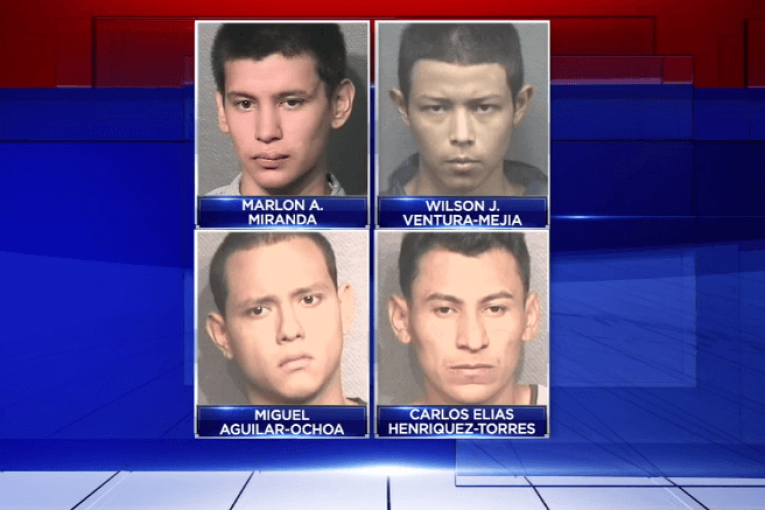 Marlon A. Miranda, 19; Wilson J. Ventura-Mejia, 22; Miguel Aguilar-Ochoa, 33; and Carlos Elias Henriquez-Torres, 18, are charged in the June 6 murder of Victor Castro Martinez. Eyewitness News has learned Houston police will announce their arrests as well as numerous others related to investigations into MS-13 at a news conference on Tuesday. The majority of cases involve gang-on-gang crimes, according to HPD sources. The brutality of MS-13 has escalated in recent years. According to court records, Miranda, Ventura-Mejia, Aguilar-Ochoa and Henriquez-Torres took turns “hacking” the 25-year-old victim to death with a machete. During a probable cause hearing August 23, it was revealed the victim, a MS-13 gang member himself, was cooperating with police. According to court records, on June 6, he contacted police to tell them he was meeting with MS-13 gang members. Police provided him a recording device and watched him as he left his southwest Houston apartment with the suspects. At 10:13 p.m., the victim texted his location to an officer: 7600 Long Drive, next to Cullinan Park. There was no more communication. The next morning, police found Martinez’s bloodied body in the park. Their recording device was still in his pocket. They determined he died within 30 minutes of his text. Investigators believe the victim was murdered because the suspects thought he was working with a rival gang. A prosecutor told the hearing officer the suspects may be tied to seven other murders. Among MS-13, any sign of disloyalty is a death sentence, said Stephens. “The only way you leave MS-13 is in a body bag,” he said. The state has requested all the defendants be separated from each other while in jail. Meanwhile, the left offers them sanctuary while the president deports them.